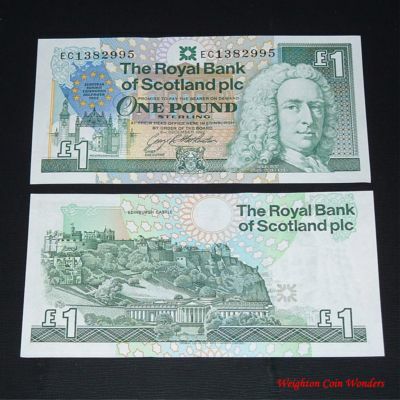 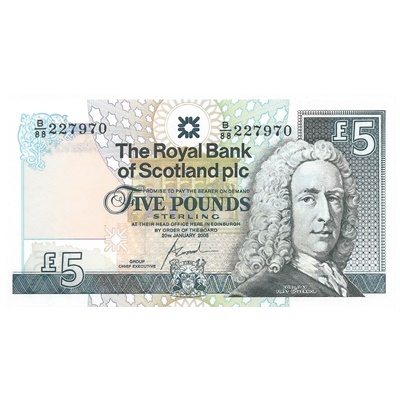 The Royal Bank of Scotland was founded in 1727 and on the 8th December 1727 six different kinds of notes - 20 shillings, £5, £10, £20, £50 and £100 - were issued payable on demand at the bank's office in Edinburgh. 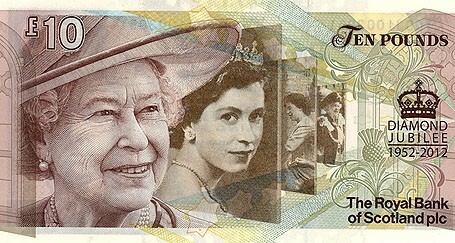 All the notes issued over the years remain popular and are often worth more than their face value to collectors. 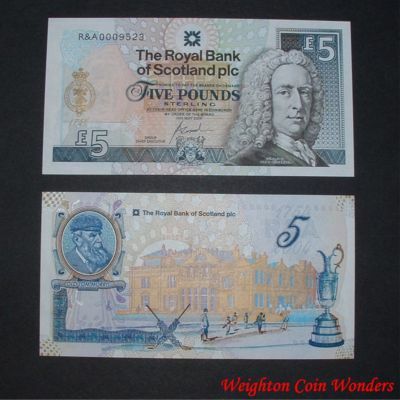 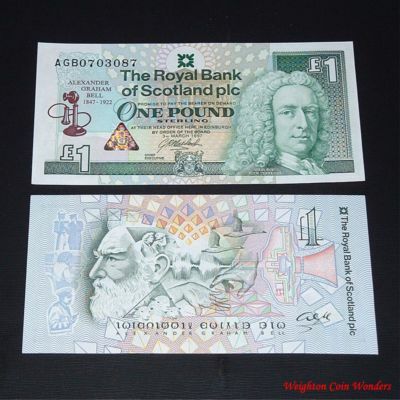 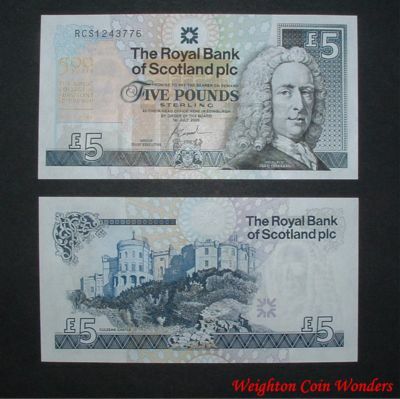 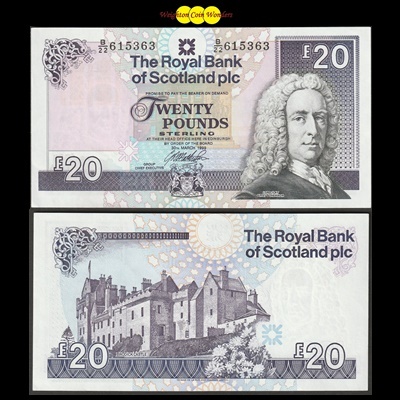 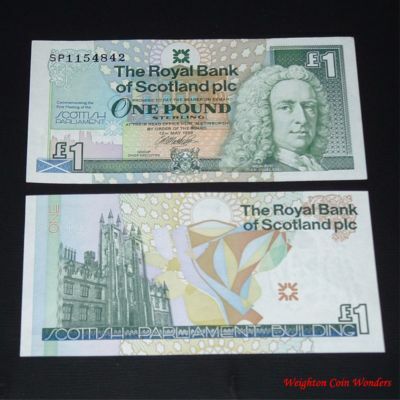 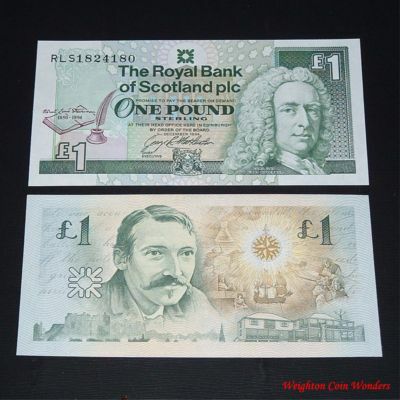 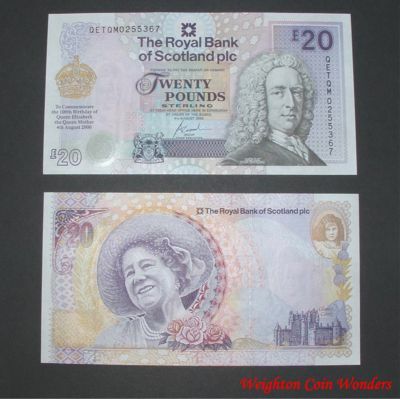 From time to time, RBS issues specially designed commemorative notes to mark, for example, a special anniversary or notable achievement.